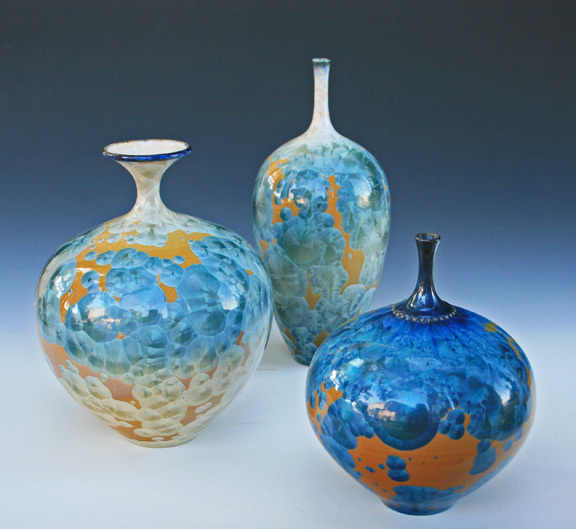 Here you will find samples of the pottery we make: Gloss Crystalline; Matte Crystalline; and Stoneware Pottery. ​The items on these pages illustrate the type of work we do within these categories - most if not all of these pieces have already been sold. More recent works, which are available for purchase are featured on our page entitled "Available for Purchase"